Calton Towers malayalam movie directed by Salil Lal Ahamed featuring Shivaji Guruvayoor in lead. The movie zooms into a real tragedy which claimed the life of nine people. It also discusses the slack fire safety norms in urban areas. Lal who has an experience delivering three short films is excited to helm his first feature film. 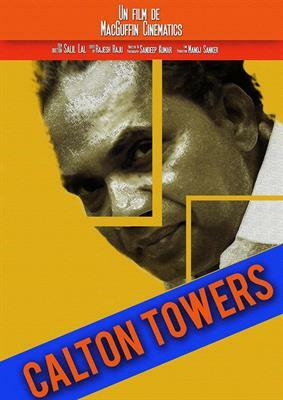 'Calton Towers' has also been selected to the 'Malayalam Cinema Today' category of International Film Festival of Kerala 2014. Salil Lal Ahamed, a techie turned filmmaker has taken a daring step to deliver a theme based on a real time tragedy. Closely watching one his friend suffering from an irreparable respiratory damage due to the Carlton Towers fire tragedy, Salil Lal decided to explore the human dimensions of the tragedy onto the big screen. The movie titled 'Calton Towers' will be the screen adaptation of the Carlton Towers catastrophe which took the life of nine people. 'Calton Towers' opens with the fire accident and later deal with the reconciliation of a father who loses his son in the blazing fire. As he tries to nail the real culprits who were responsible for the tragedy, he comes to know about the unknown face of his son's life. While fighting for justice for the victims of the tragedy, he finds a new purpose to his life too. The movie also discusses on the slack fire safety norms in urban areas, the real estate business group, futile rules and legislation. A resident of Kochi, Mr Lal got involved with 'Beyond Carlton', an association which was formed by those afflicted by the disaster. Salil Lal who has 3 short films in his credit become too ambitious while making his mind for a feature film. Malayalam theatre actor Shivaji Guruvayoor portrayed the central character of the father in the movie. Much interestingly, 'Calton Towers' has been selected as one among the 7 films to be screened in the Malayalam Cinema Today category at the IFFK 2014. The other movies selected are 'Perariyathavar', 'Jalamsam', Alif', Oralpokkam', 'Njan' and '1983'. Two songs 'Maula' and 'Anganathaimavil' composed by Adarsh S Nath would give a soothing feel to the ears. 'Maula', a hindi/ urdu track penned by Gajanan Mitke and sung by Siddharth Menon has got positive responses from the music lovers. RJ Jewel and Done Shankar will also be playing prominent roles in the movie. Ellam Chettante Ishtam Pole malayalam movie directed by Haridas featuring Manikandan Pattambi and Charulatha in lead is currently progressing its shooting at various locations. For the story of Ambadi Haneefa, the screenplay is set by Dr V Sudhakaran Nair. P Sreekumar, Sunil Sukhada, Sidharth Siva, Kalinga Sasi, Balachadran Chullikadu, Swathi Mohan, Al Amin, Vijay Karanthoor, E A Rajendran, Urmila Unni, Manka Mahesh, Soniya, Sona, Lakshmi Sharma would give life to other prominent characters. Nagaravaridhi Naduvil Njan malayalam movie written and directed by debutante Shibu Balan featuring Sreenivasan and Sangeetha in lead is progressing at Thrissur. Produced by E4Entertainment, the movie is a social satire with waste management as the main theme. Innocent, Lal, Manoj K Jayan and Bheeman Raghu would give life to other prominent characters in the movie. The music is being set by Govind of the band Thaikkudam Bridge. 8th March malayalam movie directed by Albert Antoni featuring young actor Rahul Madhav in lead role is ready for release. Baburaj, Ananth Vishnu, Mumbai based model Khanak and Russian actress Katrina have given life to other prominent characters in the movie. Scripted by Raveendran, Ramakrishnan and Albert Antoni, the movie is being produced by Sunil Chandrika Nair under the banner Zoe Esthabe Moviez banner. Chiraku Karinja Kinavual malayalam movie to be directed by Santhosh Viswanathan featuring Kunchacko Boban, Sreenivasan and Rima Kallingal would start rolling at Idukki from 6th October 2014. Kunchacko Boban will team up with Rima Kallingal for the first time in his career. The movie will be produced by Listin Stephen under the banner Magic Frames. Njan Ninnodu Koode Undu (Njaan Ninnodu Koodeyundu) malayalam movie directed by Priyanandanan featuring Vinay Forrt and Siddharth Bharathan in lead is currently progressing at scheduled locations. Njaan Ninnodu Koodeyundu also has new faces Navamy Murali and Aparna Vinod in prominent roles. 'Njan Ninnodu Koode Undu' revolves around the life of two thieves played by the lead actors. The second schedule of the movie will be picturized in Madhya Pradesh.